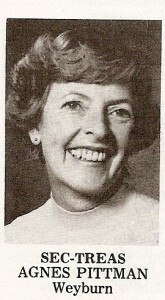 Agnes was hired in 1968 as the first full-time secretary-treasurer for the Saskatchewan Ladies Curling Association (SLCA). Up until that time the position was appointed by the president for a one year term. 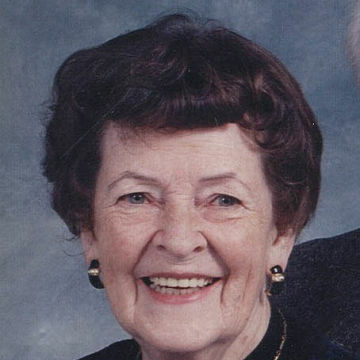 For eighteen years Agnes provided stability and security to the position and opened a permanent office in Weyburn. She oversaw many changes to womens curling. The province was re-zoned to 16 regions and later to 14 as it is today. The senior ladies organization was welcomed into the SLCA and all ladies curling came under one provincial jurisdiction. The SLCA yearbook was first published in 1976 – 77 and in the early 80’s there was a reorganization of the executive to incorporate a new committee structure, allowing executive members better involvement in the operation of the the organization. Agnes is an Honourary Life member of the SLCA and was regarded as an undisputed leader, playing a significant role in the growth and development of the SLCA.